The third annual Let’s Play Gaming Expo is one of the most interactive conventions around, celebrating all of gaming, be it board, card, or video. 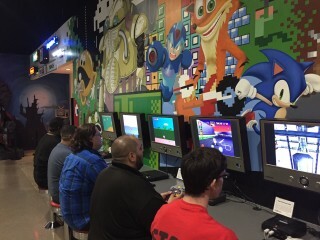 The convention will feature 85+ vendor tables, 90+ arcade cabinets, the national Smash Bros tournament Low Tier City, the only Classic Tetris World Championship regional qualifier, the only Tecmo Madison qualifier, retro game tournaments, modern game tournaments, panels, special guests, and more. $15-$20 for day passes; $25-$5,000 for weekend passes.